Banks Barclays Barclaycard JetBlue Plus Increase: Highest Ever Bonus Now Available! Barclaycard JetBlue Plus Increase: Highest Ever Bonus Now Available! JetBlue is one of my favorite domestic carriers with decent entertainment offerings, free WiFi, great service and better legroom than most. If they serve your city then they can often be among the cheapest and certainly best options out there. They also often have sales that can get you pretty cheap flights, whether paying cash or points. One of the easiest ways to earn points is through their Barclaycard JetBlue Plus card. The card has had a bonus as high as 40K TrueBlue points, but the usual offer is 30K. Now it has been doubled. Yup, you read that right. Let’s take a look at the details. Earn 60,000) bonus TrueBlue points after you spend $1,000 in Net Purchases on your Account within ninety (90) days of account opening and your annual fee has been paid. This one-time bonus points offer is valid for first-time cardmembers with new accounts only. Existing cardmembers and existing accounts are not eligible for this offer. This is a limited-time offer and may be canceled at any time without notice. 10% points rebate on redemptions. 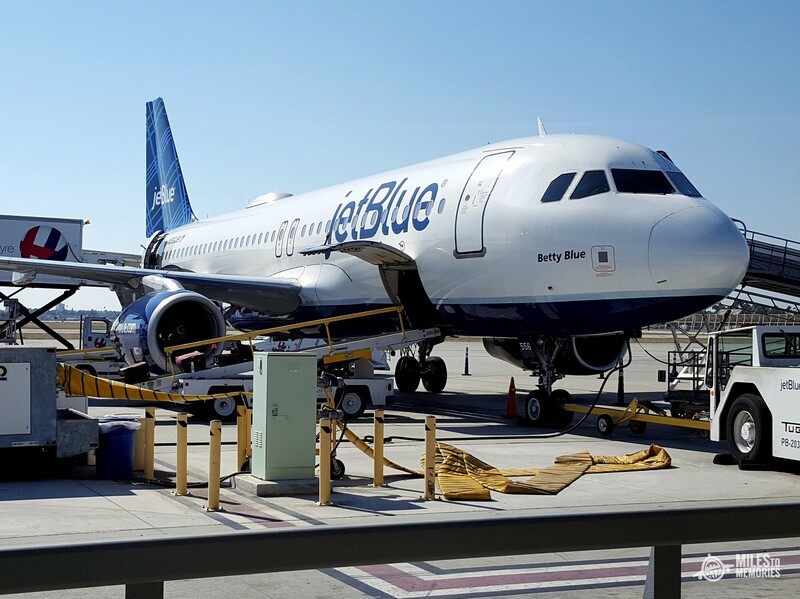 JetBlue points have a variable value with a floor of about 1 cent per point and a maximum of close to 2 cents per point, but the average redemption rate for the vast majority of flights is 1.4 cents each. That means I would value this bonus at about $740 (minus $99 annual fee), but for some the value will be higher. That’s a great bonus in my book. This is by far the best offer we have seen for the Barclaycard JetBlue Plus card. Obviously this offer will be best suited to regular JetBlue flyers. What is the likelihood that Barclaycard will match to the new, higher offer for someone who got the card with the 40,000 offer about 6 weeks ago? Any success stories, and if so what phrasing worked in your DM? I called them to see if I could get matched to the current offer with being a little over a month of opening the card. The rep said that she could open a case for me but it was not guarantee that I get it. As of now, I’m waiting till Sat if I get approved for the match to the new offer.